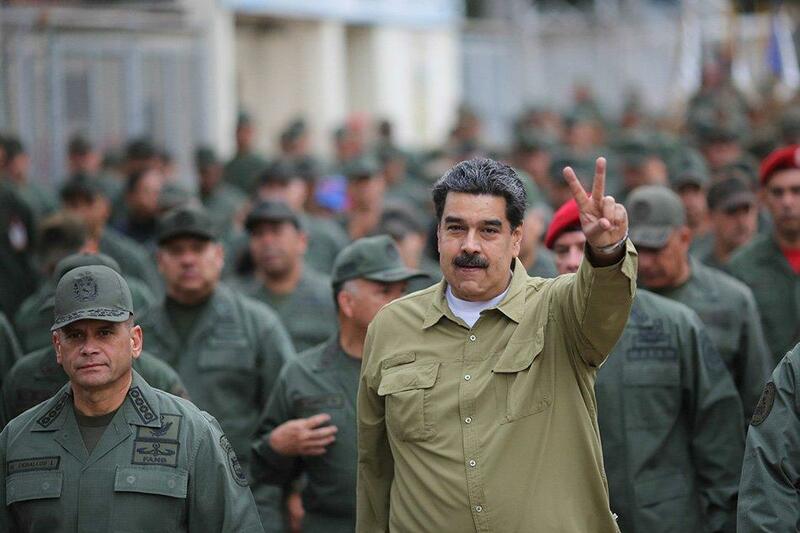 CARACAS, Jan. 31 (Xinhua) -- Venezuelan security forces have uncovered a "new plan" to overthrow President Nicolas Maduro, Interior Minister Nestor Reverol said on Thursday. Reverol said that the plan involved "a group of assassins hired by Venezuela's ultra-right that planned to assassinate some political and military leaders." Intelligence officials had information that the group was made up of deserters from the National Bolivarian Armed Forces (FANB) and entered through Colombia, he said. Investigation led to the "capture in Valles del Tuy of one of the leaders," identified as Miguel Palacios Salcedo, who deserted from the FANB in 2006, Reverol said. The minister said that through interrogation of Palacios Salcedo, they managed to capture Lieutenant Alberto Salazar Cabanas who was accompanied by two other Armed Forces deserters who managed to escape. Evidence also led to the arrest of retired Colonel Oswaldo Garcia Palomo and two others early Thursday morning. Garcia Palomo was sought in connection with the attempted assassination of Maduro on Aug. 4, 2018. Inside the vehicle he was in, "two AK103 rifles, two satellite phones and 500 bracelets imprinted with OC, which stands for Operation Constitution, were found," Reverol said. The minister said Wednesday that there was a confrontation between security forces and people in a vehicle with false identification in Caracas. He said it was a criminal gang "hired by Venezuela's right" that provoked false flag attacks to create upheaval. Two people died in the confrontation and two others were able to escape. Since Jan. 23, the difficult political situation in Venezuela has intensified, after the opposition leader Juan Guaido declared himself interim president and was recognized by the United States and some other countries.